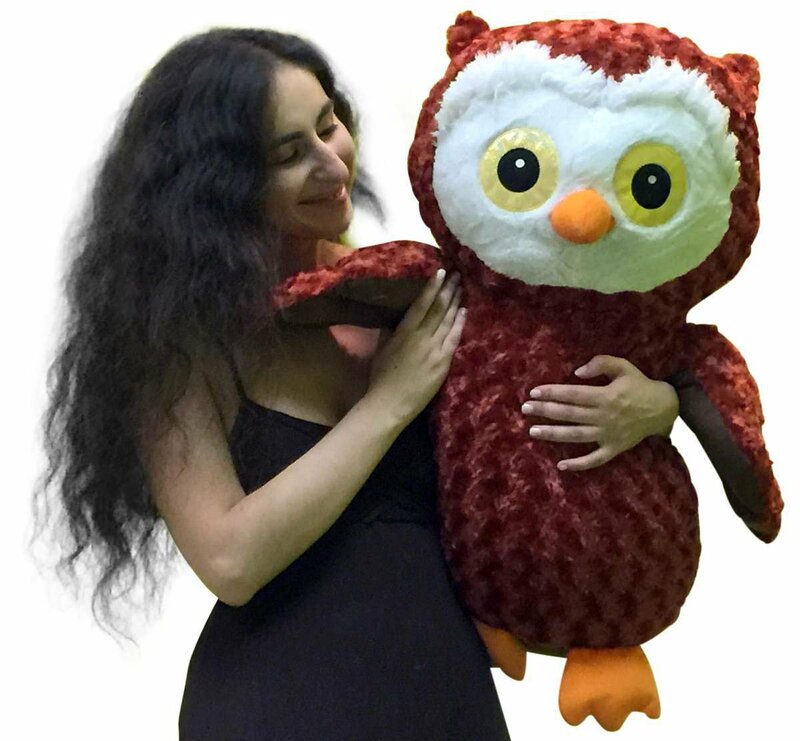 Home › Toys › Big Stuffed Owl 28 Inches Premium Quality Brown Color Soft Plush Embroidered ..
Big Stuffed Owl 28 Inches Premium Quality Brown Color Soft Plush Embroidered .. This large stuffed owl isn't just big and soft, he's REALLY Big and REALLY Soft. He measures 28 inches (that's almost two and a half feet tall) from head to his feet. And this big plush owl measures over two feet wide too! Made with high quality, soft brown color fur and exquisite embroidered eyes, it is made with a lot of attention to detail and adorable design. This big plush owl is stuffed with lots of pillow soft polyester which transforms him into a Giant size pillow in case of an emergency. If you're looking to send a Oversized version of the classic OWL to someone special, then this big plush owl is the perfect gift. Ships in a big box that is sure to impress the lucky special person that you're sending this to. When it comes to sending a meaningful gift, sometimes nothing but the biggest will do; and if that's the case, then this is YOUR big stuffed owl. Get it now. Send it now. Get smiles and happiness now.